What do Kate Moss, Barack Obama, Madonna, Michael Jackson, David Beckham and Audrey Hepburn, amongst other famous people, share in common? They have all been text-portrayed by Ralph Ueltzhoeffer. Ralph Ueltzhoeffer was born in 1966 in Mannheim, Germany and since 1984 he has been working as a photographer. His works range from installations, such as the web-art-project “Textportrait”, to other medias like photography and personal computers. Concentrating on human aspects, either through black and white or colour photography, the work of Ueltzhoeffer gives a different dimension and value to information and biographies. However, one might wonder what a text portrait is. 1. A symbiosis out of text and photo, biography and portrait. 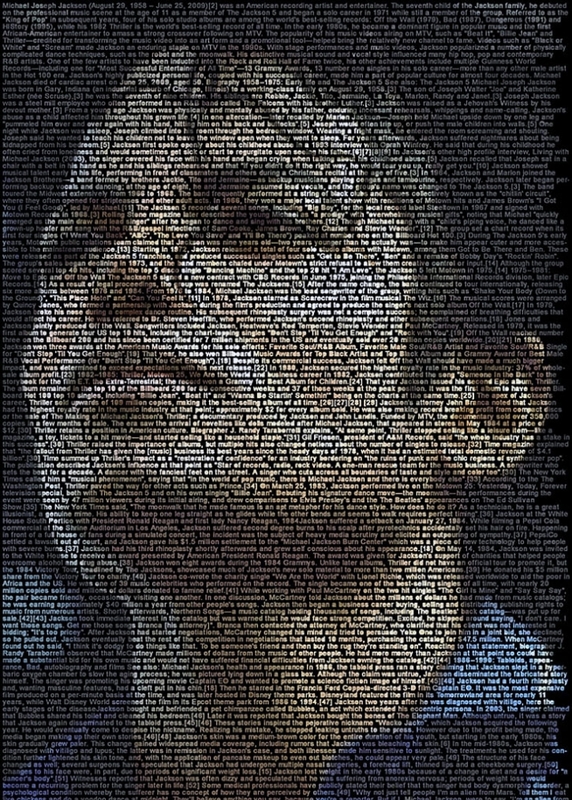 A text portrait is a version of lettering and photo of a usual portrait, with the difference, that the text (e.g. biography) and the photo (e.g. passport picture) create an inseparable symbiosis. The fusion of two visually different components to a readable portrait – the text portrait. 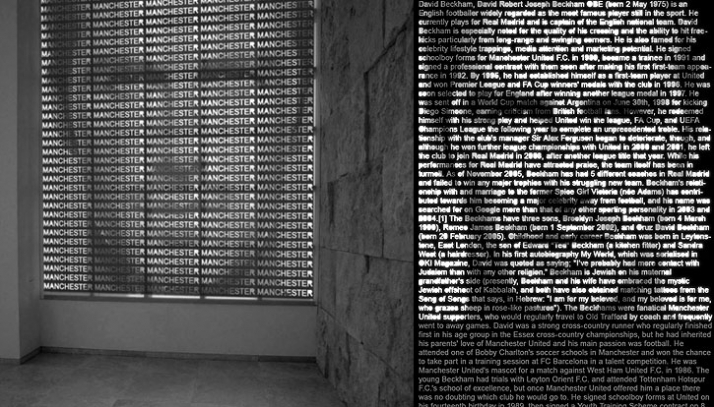 In 2002, Ralph Ueltzhoeffer created one of the first text portraits out of the text: Wikipedia “David Beckham” with a typeface of white on black relating the result visually to the DOS input mode. At that time as the internet was undergoing development regarding search functions, an exclusively digital presentation in the net was not imaginable. 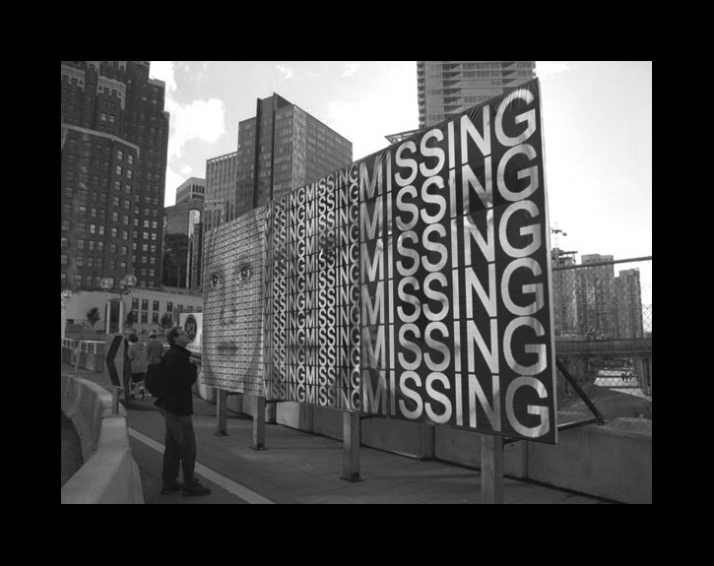 Therefore, the first text portraits were location-dependant and were exhibited on billboards, keeping the public character of the artwork. Text portraits were exhibited not only in museums and historical locations, such the Museum of Scotland in Edinburgh and Ground Zero in New York, but also in places like subway stations and showcases of cafés. After some years and as soon as search engines and use of the internet entered our everyday lives, personal data became automated and exposed to anyone. 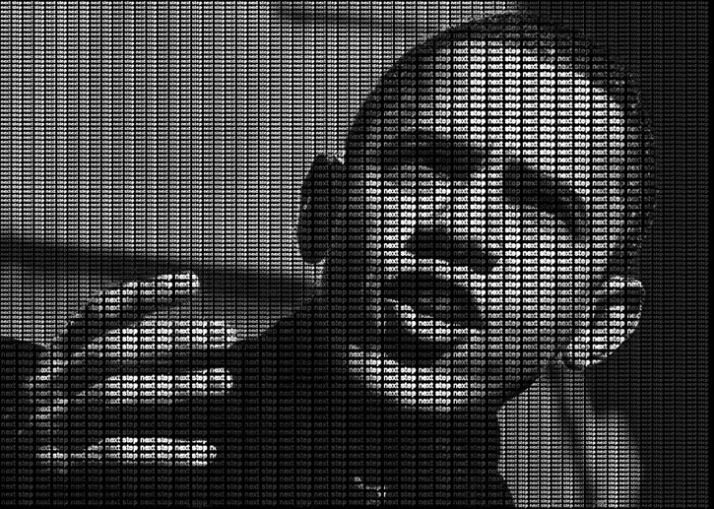 Text portraits made use of this exact multi liberal handling of personal data. 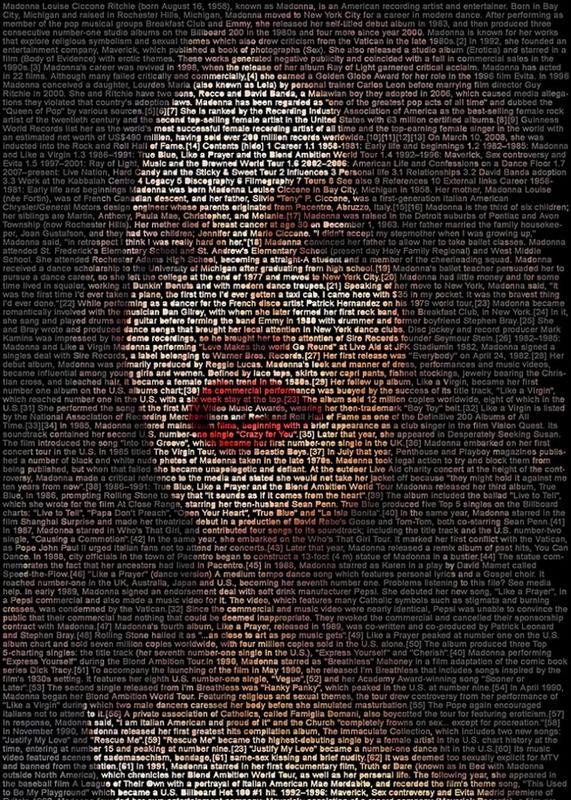 “The art project text portrait exclusively works with personal data in most different combinations on thousands of websites. 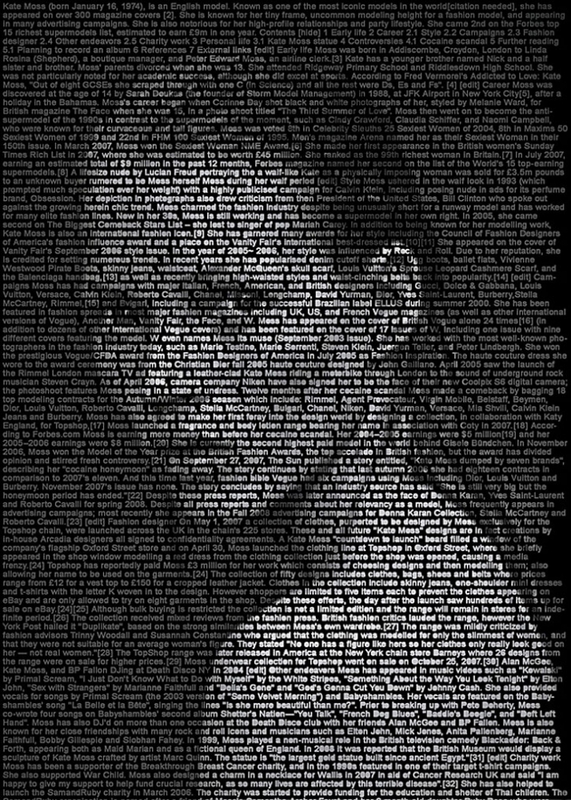 Text portrait is not as usually limited to only one internet website, but spreads out to in the meantime hundreds of websites worldwide. Thousands of clicks daily grant this project great power of information. The art project text portrait purposefully abuses personal data and links these directly to the TEXTPORTRAIT project. As the art project, due to its capacity, reproduces itself independently through the net, there has been no way to end this project promptly for some time”. Ralph Ueltzhoeffer pointed out that “there is no location where art could not be presented”. According to Yatzer this is definitely an artist that makes sure to successfully support his statement.